Going to the dentist can be a cause for anxiety for most of us, but it’s a very different feeling for those with autism. Patients with autism often have difficulty staying still and allowing the dentist to do what’s needed, which is why a loved one should always be present. Everyone needs a hand to hold sometimes, especially those who fear the dentist, and it’s no different with patients with autism. Poor oral health is not always brought on or indicated through autistic patients, but proper oral health can be a problem in some cases. Some dental problems that are seen in autistic patients can be purely genetic, but often times it’s not chalked up all that easily. Autistic patients can be very uncooperative at both the dentist and at home in terms of oral hygiene, so the proper amount of care can be difficult. For example, periodontal disease and cavities are the two most common dental problems that are often seen in autistic patients. Depending on how severe the autism is, a lot of patients will have difficulty communicating their pain. This results in dental health issues becoming so advanced that a general anesthesia is not just required to help them relax, but because it is necessary from the pain or the needed procedure. Patients with autism, especially children, have extreme sensory and oral motor integration issues. If their case is a severe one then the dentist can be a very frightful experience. All of the tools, noise, and people can easily stress a patient out and make them impossible to work on, and a lot of dentists will suggest a sedative right away. A lot of patients with autism have a general fear of the dentist because it overrides their senses and is a lot for them to process in such a short time. Finding a dentist who knows and understands their fears by working with multiple special needs patients previously is the best way to help your loved one slowly overcome their fear. There are ways you can help your loved one feel safe and secure while at the dentist. For example, if you are a parent of a young child who has autism, do not bring them to multiple offices. Instead, find one dentist that is understanding and will work with you and your child to keep their oral health in top shape. This eliminates the anxiety that they would have by going to different places each time. You can also take the necessary steps to prepare them for their visit, whether your loved one is a child or an adult. Take them for a tour by showing them the website, telling them about the dentist they will be seeing. You can also tell them about your experiences at the dentist, even if it’s not the same one, and say that you feel much better after you went. However, sometimes sedation is necessary to ensure they are getting the proper care that they need for their oral health. This is typical because patients with autism can be extremely difficult and uncooperative, and sedation is the only way to get whatever problem may be fixed. A lot of people have concerns about this because they do not want their loved one to be sedated, but it’s often the only way to get the work done. This is typical because a lot of patients with autism do not like anyone touching their teeth or putting things in their mouth. 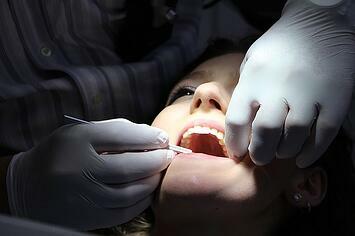 Sedation dentistry is actually a very popular thing, even if the patient does not have any form of a special need. Sedation dentistry, also known as “sleepy dentistry”, is used to give patients a peace of mind and help them to relax while they are in the chair. Keep in mind that this is not the same thing as having a patient knocked out. Sedation dentistry keeps the patient somewhat awake and does not cause them to go to sleep completely. In this type of situation, you can ask your dentist about seeing a specialist who can give you all of the information you’ll need. Oral sedation dentistry may be the best option you’ve got if you know for a fact that your loved one will put up a fight and refuse the treatment that they need. Letting the dentist know that your loved one is a special needs patient is the first step. If they know and are not able to take them on themselves, they will be able to find someone who can for you long before the appointment, so ensure that you make the office aware well before. Dentists who only care for patients will special needs are typically hard to find, but they are out there. These dentists require an additional three years of dental postgraduate training. If you find one, you should definitely stick with this dentist, because they are the best option for your loved one. Special needs dentistry is a definite real thing, so ask your local dentistry office if they have any information that could help you in finding one. Speaking with a friend or family member who also has a loved one with special needs in their direct care is a great way to see about the perfect dentist for your loved one’s needs. However, take their information with a grain of salt, because it will no doubt be biased. Do not just book an appointment based on what they have told you, but instead do some additional research yourself to see whether or not they are what you are looking for in a dentist. Even though your doctor is nowhere near being a dentist, asking him or her is one of the best ways to find the best dentist for your loved one. They may probably know someone who is best for the job because a lot of dentists work closely with doctors that have patients who have neurological conditions, such as epilepsy and cerebral palsy. If your loved one uses a wheelchair for whatever reason, ensure that you are choosing a dentistry that can accommodate this and any other requirement that they may have. Even though this is a regular standard to you, it may not be such a regular requirement for a dental office, so make sure to ask these questions before you book your appointment. The last thing you want is to bring your loved one to their appointment and then find out they will not be able to treat him or her because of the lack of needed equipment. If there are special needs advocacy organizations within your area that you can speak to about this, definitely do so. They will be able to point you in the right direction for dentists that have experience and can properly care for special needs patients. Some dentists may refuse to take on patients with special needs because of the difficulty, so asking an advocacy organization is a great way to get a straight answer and be pointed in the right direction. If you have your loved one on your dental insurance, call the company you are with and inquire about any special needs dentists they may be able to recommend based on your dental insurance policy. You may be lucky and find out that a special needs dentist is covered under your policy, but don’t have your hopes set too high. If your loved one is younger, like a child, consider bringing their favorite toy. Or, if your loved one is older, think of something else to bring, such as their favorite book. Either way, bringing something your loved one is fond of and familiar with, is a great way to ease the tension and anxiety. If your loved one simply cannot relax during a cleaning or any other procedure, but there is more to come, consider splitting the treatments. If you’re at a special needs dentist specifically they will more than likely offer this solution. Instead of doing a number of treatments in one go, a lot of dentists will accommodate special needs patients and split them up over a short or long period of time. However, it all depends on the severity of the case and what needs to be done. Caring for your loved one’s oral health is extremely important for their overall health. If they have poor oral hygiene it can lead to multiple issues, such as decaying teeth and loss of bone structure in the jaw. Therefore, taking the necessary steps at home to ensure that visits to the dentist are minimal. You should be brushing your loved one’s teeth twice a day for two minutes minimum each time. Always angle the brush 45 degrees to the line of the gums while brushing the soft tissues and the base of the teeth. For the surface of the teeth brush in a circular motion up and down, and avoid horizontal strokes that are too harsh. If your loved one is not accustomed to brushing their teeth regularly this is going to be tricky to do, especially if they are a child. Brush your teeth with your loved one, or do it by yourself at first, to show them that it’s important and a regular thing. You need to show them that this is something they have to do and that it’s very easy. Flossing may be extremely difficult to do but it’s worth giving it a try. For children in general, you need to wait to start flossing when the teeth are all properly touching, for adults it doesn’t matter what stage you do it at. Start by getting your loved one familiar with dental floss and then show them how it works. You may not be able to do it for them for quite some time, but incorporate it into the entire routine just so they know that it’s very important for proper oral health. Always ensure that you make and stick to an oral health care routine. Even if your loved one has yet to fully participate in the oral care routine it’s very important that you yourself stick to it. Eventually, they will want to do everything that you are doing and may even let you start with mouthwash, too. As long as they see you keeping up with your oral health, especially after you are constantly telling them how important proper oral hygiene really is, you’d be surprised how enthusiastic your loved one could get about it. It will take your loved one some time to get used to everything, so always remember to be patient and keep in mind that all your hard work to help them will pay off in the end. Staying calm and being patient is easier said than done but those with special needs require just that. This will be very frustrating for both of you, no doubt. Helping your loved one, whether they have autism or another form of special needs, with their oral health is extremely important to everything else that they need. Visiting the dentist and practicing proper oral hygiene on a daily basis is an important part of regular life, so ensure that you guide and show them what they need to do and help them further along the way. This website is a great resource for moms who want advice and guidance from other moms. It has multiple forums that are very helpful for answering questions on important topics regarding their children. This is a guide on how to find a dentist that specifically treats patients with special needs. It’s great for parents who want someone who solely deals with these types of patients to have and refer to whenever necessary. Even though it says it’s for tips on special needs kids, it’s good for both kids and adults depending on the circumstances. It relates to things you can do for generally all ages and is relevant for multiple situations and medical standards. 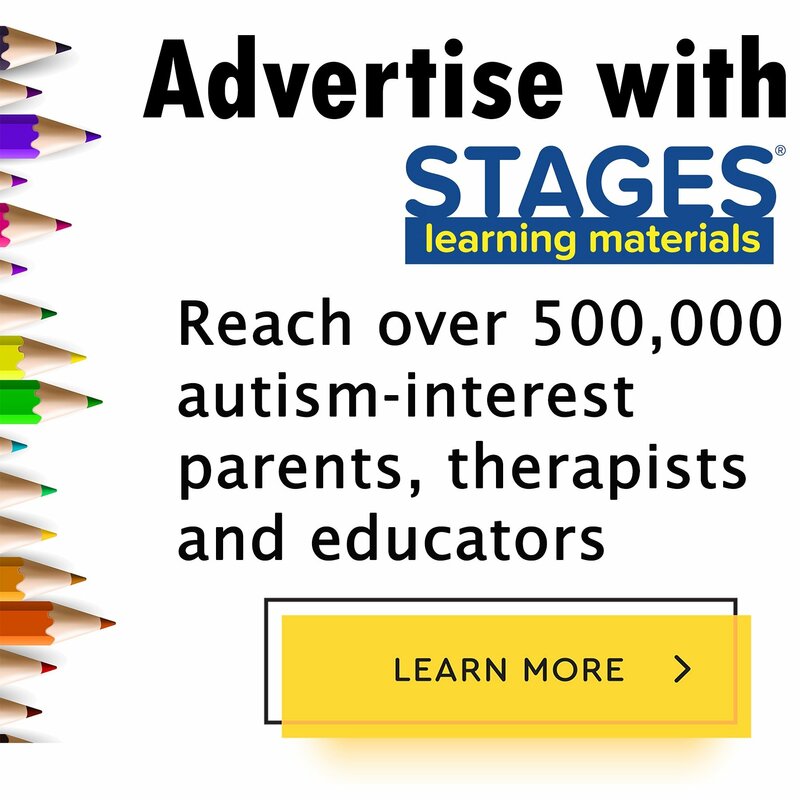 This guide is great for parents of children with autism. It can also be helpful for adults with autism, as well. It has very helpful tips on starting and maintaining a routine oral health regimen. This article outlines what special needs patients need specifically, and what you as a parent should look for in a dentist and how to have an easier visit. This could also be applied to an older patient and their loved one, or caregiver, as well. Dr. Greg Grillo was born and raised in the Okanogan Valley in Washington state. He spent eight years at the University of Washington and received a bachelor’s degree with honors before attending the School of Dentistry on the same campus. From there he was selected for a Health Profession’s Scholarship by the United States Navy where he served as a dental officer for four years. 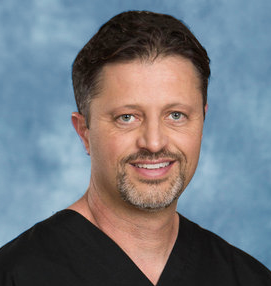 While in the navy, Dr. Grillo served tours in South Carolina and Japan, treating families of squadron military members and receiving advanced training in multiple areas of specialized dentistry. Dr. Grillo has continued his practice in North Central Washington for more than 17 years, balancing his clinical practice with a role as the Content Director at a rapidly growing dental software company and freelance dental copywriting. Dr. Grillo continues to take numerous continuing education courses on all aspects of dentistry and is also involved in a variety of community activities in the Omak area outside of his work.